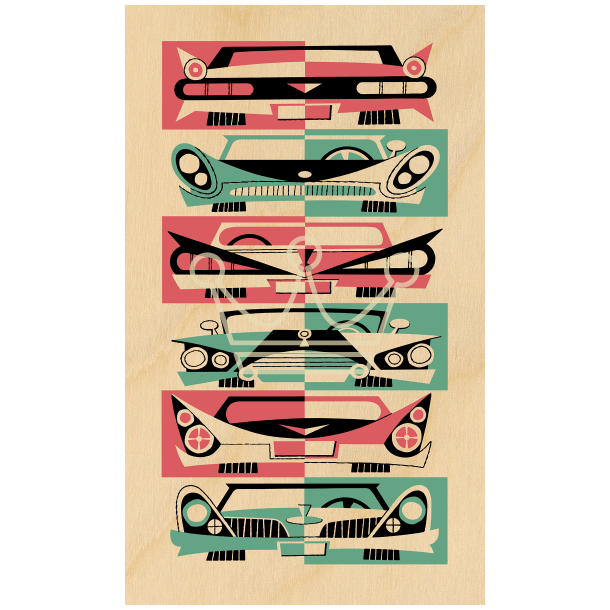 Capture the spirit of Detroit's finest automobile styling with Fins 'n Grills by our own Derek Yaniger! 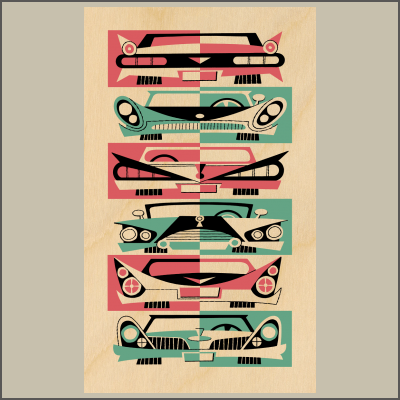 Enjoy this one-of-a-kind objet d'art silkscreened in three colors on hand selected wood ready for hanging measuring 12" x 20". All are signed and numbered by the artist in a super limited collectible edition of 30 with ONLY 10 AVAILABLE! Get yours quick!